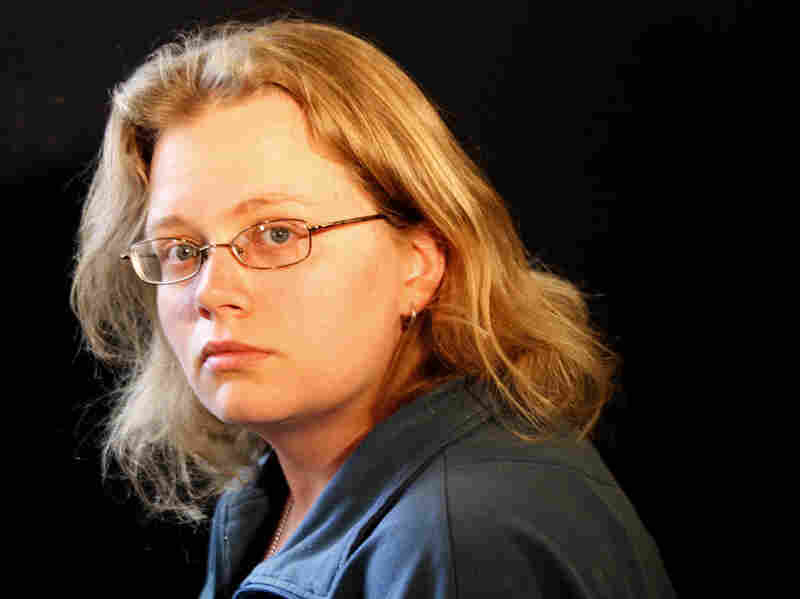 Readers See Themselves In The Many Worlds Of Seanan McGuire The prolific fantasy and horror author says that reading stories about people who don't look like us is how we learn empathy; she makes a point of writing characters who reflect different experiences. Seanan McGuire has so many universes in her head, she hasn't counted them all yet. Seanan McGuire published her first book in 2009, and since then she's written more than two dozen novels across multiple fictional universes, from urban fairy fantasy to cryptozoology to zombie horror — and this year, she achieved her lifelong dream: to write an X-Men comic. She says she knew she was a storyteller when she was three years old, "because that's when people started saying, she sure is a little storyteller, isn't she?" And when she saw the old Ray Bradbury Theater TV show, well, that was it: "A career path was set." McGuire started out writing fan fiction and filk — that's the nerd version of folk, "we spell it with an i instead of an o, because we're weird," she jokes — eventually releasing five albums, "which are all out of print because we ran out of copies." Decades later, McGuire has so many fictional worlds in her head, she needs a wiki to keep them all straight. "So many," she says. "So many, I don't actually know, because some of them have yet to be written down." I jokingly refer to Seanan McGuire as the Joyce Carol Oates of genre fiction, but it really is true. I ask her to list just a few of her series: "The October Daye series of fantasy novels, and those are sort of fairy tale noir, they're urban fantasy heavily influenced by my own background in folklore. The InCryptid series of urban fantasy, and those are more about modern cryptozoology, the diversity of monsters, both in the United States and around the world, and then we have the Wayward Children, so they're about kids that survive trips to places like Narnia and Oz, and then have to figure out how to readjust to living in this magicless world of ours." And that's just three of her worlds. She also writes horror under the name Mira Grant — one of her series is a journalists-meet-zombies tale called Newsflesh — but she says there's no way any of her fictional worlds could meet. "No no no! What happens if you introduce the Newsflesh characters to any other universe? It's a zombie apocalypse. Everyone dies." Now, McGuire also getting to play in the world of Marvel comics, and not just the X-Men. As we tour the convention floor, she's bubbling over with excitement about a brand-new announcement: She'll also be writing an ongoing series about Spider-Gwen, an alternate-universe version of Spider-Man's first girlfriend, Gwen Stacy. Part of how we learn empathy, part of how we learn to be human, is by reading and listening and viewing stories, and seeing people that don't look like us. Readers recognize McGuire in a crowd, and they recognize themselves in her work. I stop by the massive autograph pavilion where fans are lining up to meet her, and find Samantha Beard — who's here to get books signed for herself and a friend, but quickly gets sidetracked when McGuire starts admiring her collection of enamel pins, wanting to know who made them so she can buy her own. Beard says that part of why she loves McGuire's work is that she sees herself in it. "In Underneath the Sugar Sky, her mermaid character, who's a little bit on the heavier side, I really connected with this idea that in her world she was more suited to be a mermaid, because she had more fat," she says. "And that idea really resonated with me, that your faults maybe don't work in this world, but they can work in a world that you find or make somewhere else." McGuire has a policy: If someone she knows says they don't see themselves in books, she writes a character that reflects them. "Well, one, your listeners can't see me, but I'm a large lady, I'm a size 18. I have OCD and I am super queer, my girlfriend is here with me and we've been together 15 years," she says. "And you know what I have never seen, ever in a fiction book, is a fat girl with OCD who loves other girls. Because if you say that's what you want to do, there's someone going, oh, so you've got a diversity checklist, huh? Because my existence is a diversity checklist." Everyone deserves to see themselves in stories, McGuire says. "But more importantly, everyone needs to see other people in stories. Part of how we learn empathy, part of how we learn to be human, is by reading and listening and viewing stories, and seeing people that don't look like us." And with that, she slips away into a crowd of monsters, zombies and X-Men, and I follow too.